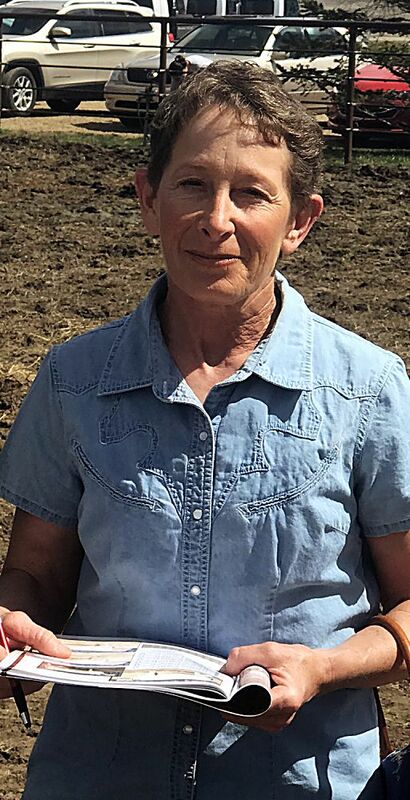 Wayne Bodvig, Tappen, North Dakota, purchased Tokach Angus bulls. 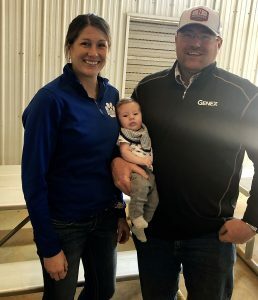 It was a great day for the Tokach family as they held their 40th Annual Production sale at Kist Livestock, Mandan, North Dakota. 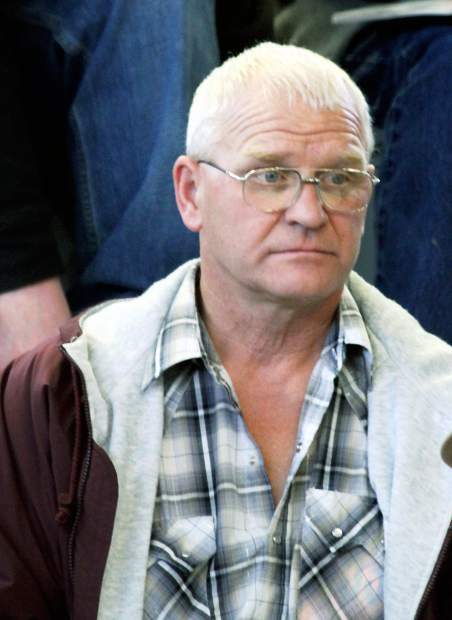 As usually, it was a cold February day, but the seats were full of buyers and bidders. 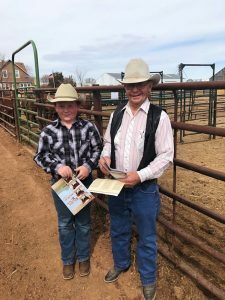 Hosting 40 annual production sales is a huge milestone for any breeder and the Tokaches are extremely thankful to the many customers who have supported them throughout the years, many are second generation Tokach Angus bull buyers. The bidding was competitive throughout the day especially on the calving ease bulls. 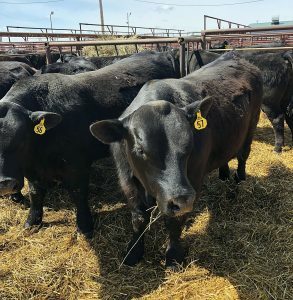 The sale bulls ranked in the top of the breed for nearly every measurable trait, plus were fed for longevity and soundness. The high selling bull of the day was lot 67, Tokach Update 4591, a Feb. 9, 2014, son of Tokach Update 9009. This bull has calving ease with performance, posting a 205 day wt. of 694 pounds, 365 day wt. of 1,528 pounds and epds of CED +11 BW 1.9 WW 71 Milk 30 YW 121. 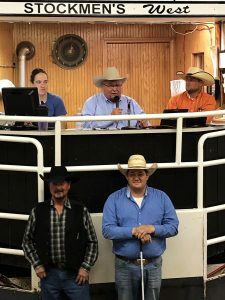 Repeat buyer Greg Svenningsen, Valley City, North Dakota, was the buyer at $11,500. Lot 87, Tokach Update 4616 is another Feb. 2014 son of Tokach Update 9009 with a 205 day wt. of 794 pounds, 365 wt. of 1,464 pounds, and epds of CED +10 BW -0.1 WW 64 Milk 28 YW 113. Archie Wanner, Hebron, North Dakota, was the buyer for $10,500. Lot 115, Tokach Earnan 4550, a Feb. 2014 son of Connealy Earnen 076E sold for $10,500 to Wayne Bodvig, Tappen, North Dakota. This power bull had a 205 day wt. of 755 pounds, 365 day wt. of 1,604 pounds with performance epds of BW 5.4 WW 69 Milk 25 YW 128 with a $B at $121.61. Also selling at $10,500 was lot 122, Tokach Earnan 4588, a Feb. 2014 son of Connealy Earnen 076E with epds of BW 4.2 WW 73 Milk 27 YW 127. Another powerful performance bull that had a 205 day wt. of 732 pounds, yearling wt. of 1,462 pounds, and $B value at $123.80. Lagge Farms, Garrison, North Dakota, was the buyer. Dan Birkeland, Sheyenne, North Dakota, got lot 98, Tokach Timeless 4792, a WMR Timeless 458 son born Feb. 28, 2014 at $9,500. This bull has epds of BW 2.7 WW 65 Milk 30 YW 112 with a $B at $112.12 and nearly 1,500 pound yearling wt. Two registered heifers topped the bred division at $5,750 each. Lot 181, Tokach Black Lady 3752, a 2/13 daughter of WMR Timeless 458 with bred to Hoover Dam sold to Hoffman Angus, Wheatland, North Dakota. Lot 185, Tokach Star Temptress 3712, a 2/13 daughter of Connealy Confidence 0100 bred to AAR Ten X sold to Ridl Farms, Dickinson, North Dakota.